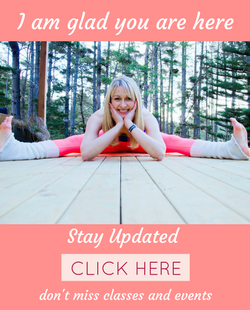 Join me for free Yoga Videos from the comfort of your home. You missed a class or would like to do some yoga outside of the classes? Then I have an options for you. As it is my mission to provide you with the tools to transform your mind and body, to move into a space of body and food freedom, self-love, courage and strength – no matter where you are in the world – I have now a YouTube Channel where I share my Yoga Classes, Inspirational, Motivational and Educational Videos which allow you to exercise, learn and grow from the comfort of your home, on holidays or on trips. Enjoyed the free yoga videos? For more videos, go over to my YouTube Channel, Sign Up and get notified when new videos are uploaded. Stay Connected to get inspiration, motivation and updates on our events, classes and workshops.